Turned out she was right. 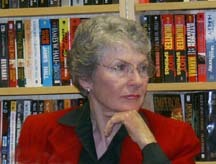 Beginning in 1997, she’s written fifteen mystery novels, a fair-sized row of short stories, critiques, and a novella. And yes, of course, she’s at work on another novel. 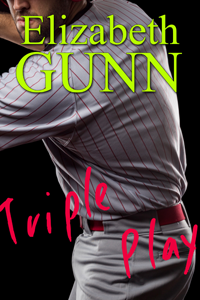 TRIPLE PLAY was the first of the Minnesota mysteries, and the series has progressed through the numbers—the latest is ELEVEN LITTLE PIGGIES. The setting is Minnesota, where the author grew up. The pace of change, and the beautiful countryside being gobbled up by fast-growing cities, form a recurring motif throughout the series. COOL IN TUCSON started a second series after she moved to Arizona. From the green land of ten thousand lakes to the dry heat of a polyglot desert city is quite a jump. The Tucson stories reflect the gritty ambience, eighty miles from the Mexican border and in summer “too hot to spit,” one of her characters remarks.